Turns out the key to the perfect chocolate is a little bit of nerdiness. Since chocolate is the most delicious substance in the world, it's all the more disappointing when you bite into a cheap piece of chocolate and it just tastes wrong. Maybe it crumbles too quickly, maybe it's a little waxy, maybe it's kind of grainy, or maybe it has a weird white coating. Thanks to physics, however, all these atrocities can be prevented. When you make chocolate into crystals, there are a lot of different forms it can take. Think about how many kinds of ice there are: crunchy, flaky, rock solid, the delicate ice that starts to form over freezing water. It's kind of like that. In fact, there are six kinds of chocolate crystals that can form based on how the molecules combine. The different types are numbered and each state is notated with a ß. 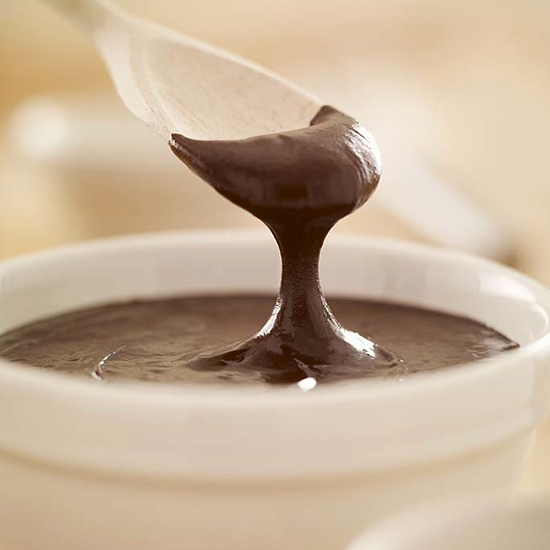 The fatty acids of the best chocolates, creamy and smooth chocolates, combine in the state we call ß(V). To get your chocolate to ß(V), you have to use high quality chocolate that you've kept away from wetness. The hard way to get it right is to heat your chocolate to 130˚F to break down any crystals already there, then cool it as a liquid to 80˚F. Melt the goop by increasing the temperature a bit, but no higher than 90˚F, and stir. Keep stirring while it cools. The best part—eat it quickly. If you store it for months, it'll get that weird white coating, which is technically called a chocolate bloom. An easier way is to melt the chocolate, decrease the temperature by a little, and throw in some "chocolate fèves", disks of chocolate that have already been tempered to ß(V). When they hit your chocolate, they'll basically teach it how to crystalize when they melt. You'll get the perfect ß(V) chocolate without even having to do all the work yourself.